With fun run season here, let’s lace up your sneakers and start pounding the pavement! Running injuries are common and can be very harmful to both your enjoyment of running and the times you are making. It is important to understand how they occur, and what to do to prevent them. Here are four tips to prevent injuries from affecting your running. A gradual return to running (or start to running!) is key. This is the biggest change in direction of modern science in the past several years. How we load our bodies, how quickly and how often makes a big impact on the integrity of the tissues, and has much MORE impact than biomechanical factors. A great example is Achilles strains. In the past, someone would come to us with an Achilles injury, and the first thing we would do would be to look at how much they pronate, the direction of their pelvis, the time in stance phase and many more biomechanical issues. However, when you dug a bit deeper you found this runner was doing 2 sessions per week but has added a hill session into the program in the past fortnight. What happens in the Achilles tendon hasn’t been able to adapt to the load of running up hills, and it has started to fail. So yes we still look at the mechanics, but to fix a problem you need to fix the cause. For this runner we need to reduce the load, and this means take a break from hills, and then gradually return when the tissue integrity improves. For those new to running entirely, or returning to running after an extended break due to injury or otherwise, we recommend starting with a walk-run program. For example starting with a 30-minute session including a 5-minute gentle warm-up, followed by a few minutes “on” and one minute “off” repetitively, followed by a 5 minute cool down, until your 30 minutes is complete. To get the most out of your running, particularly when aiming for a greater distance, or faster time, a varied training program is essential. There are many great free and running programs you can access online or in person. Most good programs include one long easy run, one tempo run, and one at least one interval session per week. Again the time and tempo is dependent on how strong and fit you are. The more conditioned your legs are the longer and faster you can go. Many running related injuries are due to muscle imbalances in your body, which then lead to sub-optimal running biomechanics. Cross training by means of Clinical Pilates, Yoga, or weight training is a great way to identify and address muscle imbalances and create a strong powerhouse base. We also notice that once people get into running, they can sometimes become a little obsessed and overtrain. Cross training satisfies this need to get moving and doing something, whilst not putting extra stress on the body. 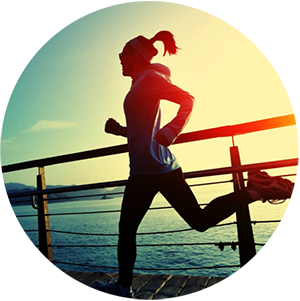 Running will place a new found load and stress on your muscles and joints. You must make sure you give those muscles the TLC they deserve for carrying you to new heights and achieving new goals. Foam rolling your quads, ITB, hamstrings and calves is a great place to start. And to give your body a bit of extra freedom when you run (particularly for those of you who spend most of your day bent forwards at your desk), open your chest and thoracic spine by lying lengthways on your foam roller. When you roll, spend 3-4 minutes on each body part. Trust us, it may be tender but your body will love you for it! So go out and enjoy your running! Watch the video below from Sum Of Us on how we recommend using a foam roller. If you are suffering from any running injuries or would like a consultation before you return to running, contact us today to see how we can help you. Daniel graduated from Bond University in Queensland with a Doctorate of Physiotherapy. Prior to this, Daniel completed a degree in Human Movement at RMIT. 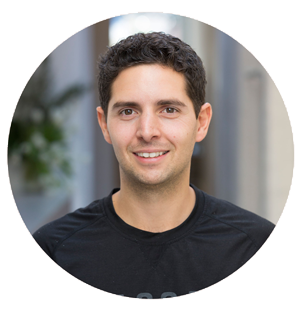 With these qualifications, Daniel is the resident expert in Exercise Physiology specialising in weight management. Daniel has also completed an internship at the Essendon Football club as an Exercise Scientist which also makes him an expert strength and conditioning for athletes. Outside of work, Daniel is a keen AFL fan, enjoys basketball, soccer and cricket. Outside of work you may find Daniel sitting at the MCG or having a swing on the golf course. In the future, Daniel aspires to be the Physiotherapist for the Liverpool Football Club.